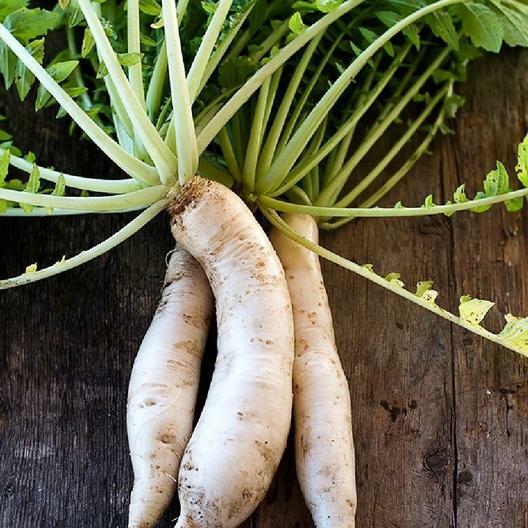 Daikon" is "radish" in Japanese, so this variety is also referred to as "Japanese Minowase Daikon". This unusual radish will add intrigue to any garden, and delicious taste to any table. Mild-flavored, Japanese Minowase Daikon Radish is used in many asian cuisines , in salad, shredded or pickled and served as garnish with sashimi. Great keeping qualities, the roots can be stored for weeks.